This article will discuss why the growing militarization of the United States as it gears up for what could be super-power confrontations with Russia and China, and the way that defense spending feeds the ever-alarming national debt, are good for gold - the ultimate safe-have asset to hold in times of high international tensions, as well as a hedge against an unsustainable debt load. Why? If the US is no longer tied to a treaty that prohibits short - and intermediate - range nuclear and conventional missiles, the military will have a freer hand in the South China Sea. Up to now the Pentagon has been unable to match China’s increasingly sophisticated land-based missile forces due to the treaty, Reuters reported. For instance China’s DF-26 intermediate-range ballistic missile has enough range (2,500 miles) to reach the US Mainland if fired from Guam. 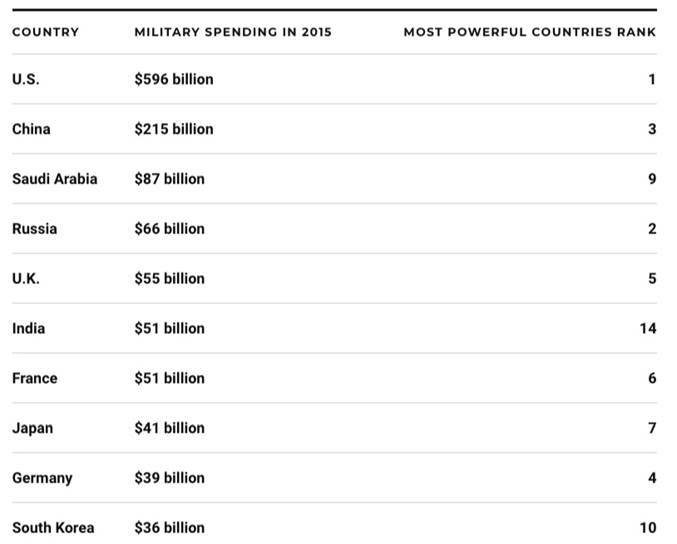 This year estimated US military spending is $892 billion, based on the August spending bill mentioned above. That number includes a number of items that are not in the actual Department of Defense budget, which can be misleading. For example the DoD budget does not include nuclear weapons spending, black ops, interest on the defense portion of the debt and ongoing military obligations to veterans. The budget for nuclear weapons falls under the Department of Energy. Other military expenses - care for veterans, health care, military training, military aid and secret operations – are put under other departments or are accounted for separately. Not only does the US have easily the most powerful military with enough weapons to destroy the world many times over - about 6,550 at last count compared to Russia’s approximate 6,800 - it is also the biggest arms dealer. 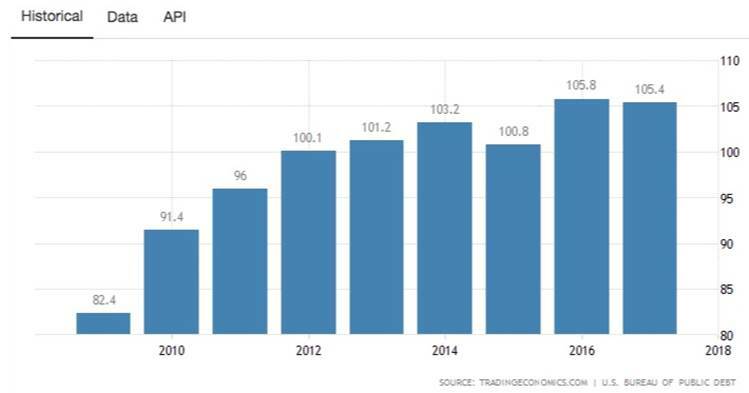 Military spending might (or might not) keep people safe, but with America’s current fiscal situation, it will also keep it in debt servitude. 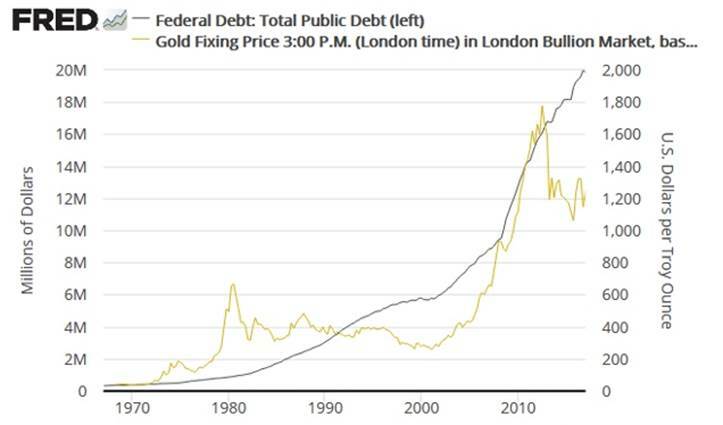 Until something can be done to correct this ticking time bomb, the best defense against the repercussions of a mounting pile of debt, and the new cold war, is to own gold - the traditional safe haven - and gold juniors which are the the best leverage to a rising gold price.